Goodbye to Walmart, Hello Self-Employment! 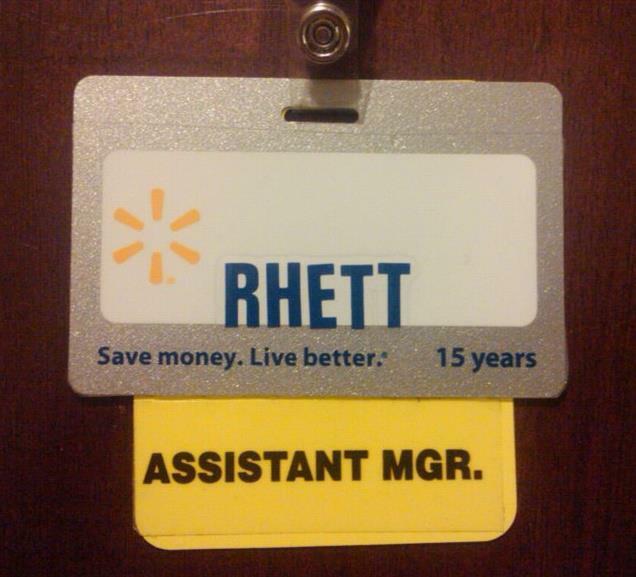 Monday I ended my 16.5 year career with Walmart. I spent 16 years in the Logistics Division and the past 6 months in the Retail Division. I decided that it was time for me to move on and attempt to make a living doing something that I enjoy and I’m good at doing: making whips. I’m excited about the future, but I can’t say that it’s not a little scarey too. I started work with Walmart when I was 18 and I really didn’t think I would ever leave to take up whipmaking full time. All that being said, I am not one to keep all my eggs in one basket. I’m a part-time Emergency Medical Technician and last year I started keeping bees. I’m very much reliant upon the Lord to continue to bless the work of my hands and to direct people to me who want to buy whips. The good news for all my past, present, and future customers is that I’ll now be able to focus way more time and energy to my craft and my historically long waiting lists should not be as long any more. As always, if you want order a whip, feel free to email or call. This entry was posted on Wednesday, May 23rd, 2012 at 10:34 am	and posted in Uncategorized. You can follow any responses to this entry through the RSS 2.0 feed.